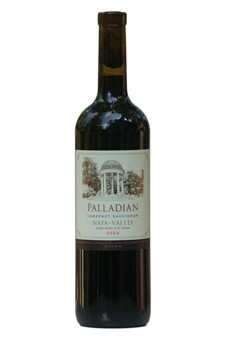 The 2006 Palladian Cabernet Sauvignon is a well-developed wine with a rich dark garnet color and a deep, inky core. Its complex bouquet leads with a bright nose of red cherry and black currants, encircled by a hint of cigar-box cedar, toasted vanilla oak and violets. The wine feel is smooth and soft at entry, followed by a touch of acidity which bring out the complex flavors, then edging toward a minerality and soft dryness. The wine gains depth and richness as it opens, polished and refined. The palate is black cherry and black plum, cassis, wild fennel, soft exotic spice and a hint of black pepper, with a silky tannin finish, long and clean – a classical, balanced structure to delight the senses.